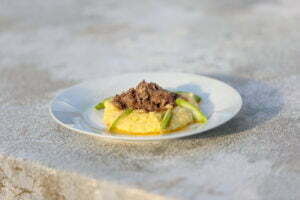 Duvall Catering & Events is proud to partner with Geechie Boy Grits as our sole source for grits! With so much of our food influenced by Lowcountry tradition, we look no further than our own neighbors for full authentic flavor. Geechie Boy Grits has officially been calling Edisto Island home since 2007, although the company’s roots began long before on the Sea Islands. Raymond L. Tumbleston nicknamed “Geechie Boy” offers Geechie Boy Grits their namesake. Tumbleston farmed Edisto soil for more than 40 years contributing not only to statewide conservation efforts but becoming a pillar of the community. Today, the Johnsman family continues Tumbleston’s legacy growing only heirloom corn for their Geechie Boy Grit products. 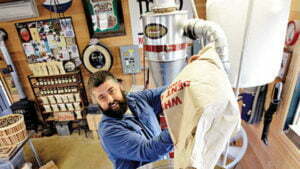 With four working mills, Geechie Boy Grits is able to supply grits, flour and cornmeal to the finest Charleston restaurants and specialty suppliers around the nation. You don’t have to travel far to be immersed in the Geechie Boy Grits process. The Edisto Island farm makes a perfect home base for the company, offering visitors a one-of-a-kind experience. In the farm’s market the public gets a firsthand understanding of the milling process on an antique mill. Gifts and heirloom vegetables are also available for purchase on the farm. 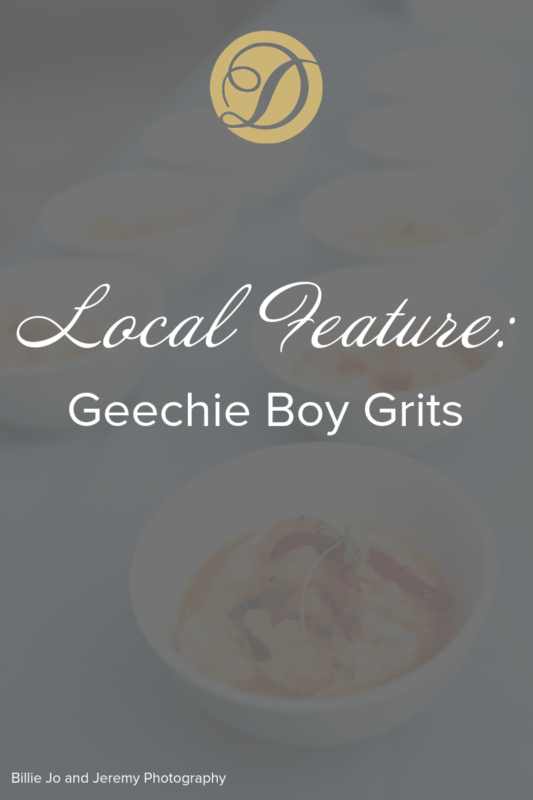 As Charleston’s oldest caterer, we are honored to craft local culinary experiences with one of our favorite vendors, Geechie Boy Grits.